Have you thought about indoor baseball? If your kids spent most of their summer days at the ball diamond stealing bases or playing little league, you’ll be happy to know you can keep the fun going all winter long while helping them develop their skills. While most people think of baseball as an outdoor-only sport, you can also play inside! Through a variety of drills, competitions, and modified games that accommodate space limitations, participants get to experience all aspects of the game while focusing each week on developing different baseball skills. Winter in the GTA can make it difficult to stay active, especially if you’re not a fan of winter sports like skiing or skating. If your child loves baseball, playing inside might be a great way to keep them active and entertained throughout the winter. 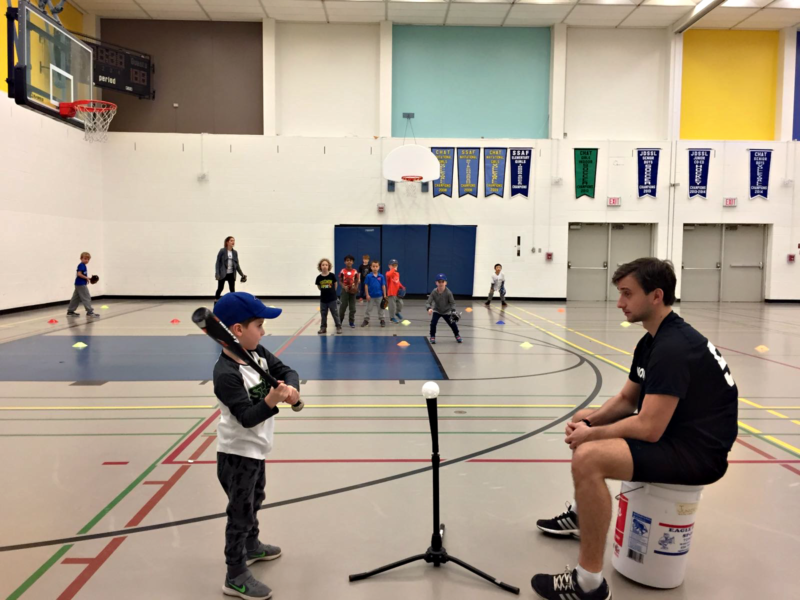 Indoor baseball clinics in Toronto are focused on providing fun while teaching the fundamentals. Teamwork, fair play, and individual skills development are also part of the curriculum at these clinics. Keeping active through the winter months is a challenge for both parents and kids alike. The short days and cold temperatures mean that most people prefer to stay inside. However, kids still have a lot of energy to burn, especially when they get home from school. One way to put that energy to good use is to enrol them in a winter sport. Many kids prefer summer sports, like baseball, so you may experience some resistance if you suggest a sport your child isn’t interested in. That’s what makes indoor baseball clinics perfect for the winter months! If your child loves playing baseball, they don’t need to stop just because the winter weather has set in. One of these clinics could be just the ticket to keeping them active throughout the winter. Sports help children develop a wide range of important skills. If your child played baseball in a league over the summer, they may want to continue improving their skills. They might be concerned they’ll “get rusty” over the winter. Or maybe they want to come back next season as a stronger player. Encourage your child to continue developing their passion for the sport alongside their skills by enrolling them in a baseball clinic. They can continue working on the skills they were developing in the summer and they’ll be ready to hit the sandlot in the spring! Perhaps your child is interested in baseball but has never played. An indoor baseball clinic is a great opportunity for them to learn fundamental skills before stepping out on the diamond in the spring/summer. Maybe baseball isn’t the only sport or after-school activity on your child’s docket this winter. That’s okay! There are plenty of options for these clinics: does a Wednesday evening time slot fit your schedule or are you more open on Sundays? A variety of indoor clinic locations and dates gives you more options. You can even try out other sports such as soccer, flag football, and basketball! Clinics run between 60 and 90 minutes each week with options beginning in January and running all the way through April. Girls and boys aged 4 to 13 are welcome! There are many reasons you might opt for an indoor baseball clinic through the winter months. Maybe it offers you something different from the usual winter sports and indoor activities, such as skating, hockey camps, or dance classes. Maybe the clinic is close by or the classes are at a convenient time for you. The best reasons are the love of the game and the desire to keep improving. If your child has a passion for baseball, they can keep playing all winter long. If they want to keep improving their skills so they can really impress next spring and summer, an indoor baseball clinic is the right option. It’s also a great opportunity for players who are new to the sport to learn the basics before spring comes along. If you’re looking for a fun way to keep your kids active this winter, check out an indoor baseball clinic.